I had the great pleasure of being interviewed by the Vancouver Sun‘s religion and diversity journalist Douglas Todd. His column piece on me was posted online on Friday; the print version should be out in the next few days. As usual, I’ll say a bit here about how the whole interview process went, what I think of the piece, and how this feeds into academic work. For my part, it certainly was an interesting experience being in the interviewee’s seat after talking to some 140 Chinese Christians in the Pacific Rim region and conducting 13 focus groups there as well, and it’s certainly very stimulating to read how my work is being interpreted in the press. The interpreter is being interpreted; how fun! Douglas Todd contacted me back in May when the Statistics Canada release came out on ethnicity, language, visible minority status, and religion. We had a brief conversation about the statistics, and my hint to him at the time was to make sure that whatever he did with the large Chinese population that identifies as ‘not religiously affiliated’ (about 61%), don’t write them off as ‘non-religious,’ as many engage in popular familial religions, may hold various views of the supernatural, and may even be influenced by Christian environments, such as schools in Hong Kong, Taiwan, and various parts of Southeast Asia. Although he did not incorporate my comments at the time, we developed a professional and collegial relationship through the process, and I’m fairly pleased with the series of articles generated from the statistics, although I had the occasional question about differences of opinion that I had about how to interpret the data. I suppose that’s how we academics are trained–to be critical, but always in a spirit of collegiality. In any case, Todd said even at that time that he wanted to do a longer piece on my work, which, after a conversation with my supervisor David Ley, we decided would be good practice for these late stages in my doctoral studies. Indeed, I reviewed some of my comments to Todd during our conversation about statistics and found that I had given him a fairly technical academic answer to his questions. Yet as we spoke, Todd reassured me that my academic comments were exactly what he wanted (which, as I’m told, is unusual for a journalist) and that we would bridge academia and journalism in our piece, as he had himself been awarded an honorary doctorate from the Vancouver School of Theology (congratulations, Doug! ), and thank you for being able to pull quotes from what I imagine must be a very difficult interview from which to pull, as I like to qualify many of the things that I say. His call came last Friday. We set up a time for this Monday, and we spoke at length for about two hours about my thesis work, as well as my various theoretical and popular interests. I also sent him various academic articles I had written, emphasizing my interest in both ‘grounded theologies’ and in the empirical work of Cantonese migrations in the Pacific region with a religious spin. There were also popular articles in the batch as well, such as the Schema autobiographical piece and the Ricepaper pieces on Ken Shigematsu and on ‘how Asian religions aren’t that exotic.’ I suppose this may be why he calls me a ‘scholarly dynamo,’ although I certainly do not feel that way most days. Because the conversation revolved around my thesis’s interest in how Cantonese-speaking Protestants engage the public spheres and civil societies of Metro Vancouver, the San Francisco Bay Area, and Hong Kong SAR, the discussion naturally veered toward the sexuality issues without us even attempting to get there. As you will see in the piece, we spoke at length about some of the pressing issues in Vancouver around parental rights activism, the drama between Liberal and Conservative Chinese Christian politicians vying for the vote in Richmond, and the Anglican crisis in the Diocese of New Westminster. What I did was to try to shed light on the internal conversations that I have been hearing in relation to what I have read in more popular and academic portrayals. Todd is right to say that the press has been interested in this story for quite some time, himself being one of this literature’s main contributors. There are also other journalists like Marci McDonald (in The Armageddon Factor), John Ibbitson and Joe Friesen at the Globe and Mail, and Chad Skelton at the Vancouver Sun, who have all written about Chinese Christians engaging the Canadian public sphere, and sexuality has often come up as an item of interest. Indeed, one might say that their work lies somewhere close to the genesis of my doctoral project, for if they were examining the conversation as outsiders, I thought that it might be interesting to tackle the question of what imaginations and practices constitute Cantonese Protestant public engagements from within the community itself. I should note that this body of journalistic work has often been met with mixed reviews by both conservative and progressive Asian Canadians for different reasons, yet both because of the work’s philosophically (and arguably, politically) liberal framework. By ‘liberal,’ I don’t mean the archetypal open-minded opposition to ‘conservatism,’ but the philosophical bent that attempts to seek an ‘overlapping consensus’ from various groups that have bracketed their communities of identity to seek some sort of abstract common ground for political life together. On the right, this work has been seen as ‘liberal’–as in too far to the left–because it is viewed as generally unsympathetic to a case against gay rights; some Chinese Christians have often decried how they have been portrayed as a propaganda-spreading community that is generally top down and unwilling to integrate into Canadian civil society, while many others protest the ‘overlapping consensus’ approach as not paying attention to how their views might be part of a majority Canadian view that is being contested by a vocal minority. 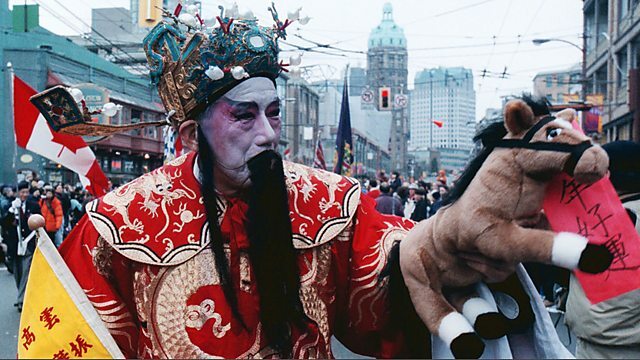 A relevant situation was in 2011, when Todd’s Chinese New Year piece was read as saying that Chinese Christian communities were unwilling to integrate into a liberal society, sparking outrage within Chinese Christian churches and a fairly assertive rebuttal from the Vancouver Chinese Evangelical Ministerial Fellowship that Chinese Christians were Canadian too. On the left, however, this body of literature has also been criticized as overly ‘liberal’–as in too far to the right–in their critique of Asian Canadian identity politics and their recent assertions that the racializing wrongs of the past can be attributed purely to economic reasons. In either case, this body of work has often been done by those who are not themselves Asian Canadian, writing often as outsiders attempting to write about a complex community. With that view in mind, I also regard this work critically while valuing it precisely for its outsider perspectives, views that can come into very interesting conversation with insider accounts, for at a methodological level, there is no monopoly on knowledge by either insiders or outsiders to a community. Now for the piece itself: I am generally pleased by how the article panned out (if you must know, ‘generally pleased’ in academic-speak is generally high praise). The headline of the piece is ‘Metro Vancouver’s Chinese Christians wrestle with morality of homosexuality,’ and the new tagline just posted reads, ‘Community has been in the forefront of opposition to gay rights, but it’s not a unanimous stand.’ As I’d point out to the editors, while the title is catchy and will certainly lead to the article being more read to my dully titled blog posts, the article is not only about homosexuality, nor is my thesis work, and Todd understands that and tries to signal that as well. After all, my thesis work is about ‘the public sphere,’ not only about sexuality issues, although it is true that sexuality issues are fascinating theoretical cases for studies of the public sphere as they challenge public-private boundaries. To that end, I hope that the small, yet necessarily incomplete, picture we painted in the article of the Chinese Christians does not make it sound like they are only concerned about sexuality issues, but about a broad range of topics that generally surround how they negotiate the boundaries between public and private spheres. As for the content of the comments, here is a brief word for the methodologically curious. The Vancouver research is based on 50 key informant semi-structured interviews with either Cantonese-speaking Christians or those who have worked closely with them, and they are supplemented by three focus groups among Cantonese-speaking Protestants whom I met in Burnaby, Coquitlam, and Richmond. As my project is limited to ‘Cantonese,’ I did not expound on the Mandarin-speaking Christians (both Catholic and Protestant) in Vancouver, although my MA project touched on how Cantonese-speaking congregations deal with their Mandarin-speaking newcomers and neighbours (and a comment from that work made its way into the article). As this is a qualitative project, my approach was to ask key informants to share their stories and to put together the picture of their public engagements from their responses; I think of them as people who can shed insider knowledge on various churches, organizations, and networks from whose information a general portrait of their public activities can be extracted. Each of the statements in the article is defensible from the data; in fact, reading through the piece, I think immediately of key quotes from the data that come to mind. I am especially happy that Todd went to the nuance of talking about the balance of ‘rights,’ as this was one of the core issues in the Vancouver site. In other words, I’m fairly happy about the level of complexity with which Todd is willing to grapple. As I said, I’m often told that journalists do not have the patience for academic ramblings (that is to say, our closely argued theses), and I’m grateful that Todd was willing to take the time to wrestle with the nuances. And that brings me finally to a word about public academia. My sense is that journalists and academics both perform a remarkable service to democratic deliberations because they seek to inform the public forum. My hope is that this piece can be taken as a sort of model for how the two sectors can engage each other (or perhaps, how journalists can ask pointed questions to academics to get the quotes they need! ), as journalists and academics are not the same, but we can certainly complement each other. In fact, we need each other. Where we academics perform the service of close argument and teaching students and readers to do the same, journalists have a sort of immediacy in their dissemination that is also a profound public service; they are fast and direct, where we are slow and cautious, and I think that’s where we strike an excellent balance when we work together. This experience has been a good first lesson for me in interacting with a very patient journalist who is actually willing to hear my complex thoughts and to represent them with careful nuance and skill; I suspect that some in the future will be less patient with me. I also appreciate how Todd demonstrates in this article how one can represent someone from a different philosophical bent studying people who are very different from himself and come out with this level of insight. So thank you, Doug, and I certainly hope that this piece will feed nuance and complexity into an ongoing public conversation that seriously needs that level of depth to be able to grapple with the difficult issues so skillfully articulated in this article. I am right now at the Annual Meeting of the Association of American Geographers. I’m mainly attending religion panels and meeting with lots of geographers, putting what I do in conversation with everyone else. You can find the rundown of geography of religion events here in the AAG’s religion newsletter. The aim of this paper session is to explore the parameters of post-secular research and theory in Geography. From Habermas to Asad to Butler, post-secular theories and approaches unsettle previously taken-for-granted relationships between religion, the state, and society. The challenge posed by post-secular theory is not to study religion more, or to study religion in isolation, but rather to re-view moments, meanings and events without the assumptions of secularization theory – that is, without assuming that religious practices, values and institutions have been historically or contemporarily irrelevant or marginalized in the functioning of ‘modern’ societies. As a critique of secularization theory, post-secular approaches encourage us to uncover and analyze the lingering and overt presence of religion in our social interactions, our economies, and in the everyday and exceptional practice of politics. Less clear in these broader debates (and, arguably, within geographical scholarship on the topic) is the relevance of space and spatial theory in either the theoretical development or empirical analysis of post-secular approaches. This paper session hopes to begin consolidating and synthesizing the spatial concerns of post-secular theory by exploring emerging empirical research on new (and old) interrelationships between religion, society, politics, and economy. Geographers of religion have long assumed that the resurgence of religious practice in contemporary spaces are signs of the vitality of religion, demonstrating the falsity of the secularization thesis. Fieldwork that I conducted in 2011 and 2012 with 140 Cantonese-speaking Protestant key informants and 115 Cantonese-speaking Protestant focus group participants in Vancouver, San Francisco, and Hong Kong would seem to indicate no different, for they have been active in advocating for traditional family values and offering social services to the poor through religious agencies. While some might label these signs of post-secular geographies, I follow Wilford’s (2010) argument that geographies of religion need to be conceptualized in the context of secularization in the modern world. I demonstrate that Cantonese Protestants active in the public sphere imagine their contributions as secular engagements, both espousing individualistic conceptions of the self and policing their activities as universally rational, not theological. This paper advances the geography of religion by properly understanding such phenomena in the context of secular modernity while speaking to migration, ethnic, and political geographies by showing that new religious resurgences require modern contextual interpretations. The reference to Justin Wilford in there is part of a broader discussion with his work that is most accessible in his book on Saddleback Church, Sacred Subdivisions: The Postsuburban Transformation of American Evangelicalism. Go read it, if you haven’t. Ivakhiv (2006) has argued that religion and sacrality are unstable signifiers that should be studied as ways of distributing significance across geographic spaces and distinguishing between different kinds of significance. To implement this agenda, we need to attend more carefully to the processes that work together to create a sense of significance. A building block approach to significance would suggest the importance of at least three factors: setting apart, which marks things as non-ordinary; valuation, which ranks and orders them; and positioning, which situates them in relation to other things. Examples will be used to illustrate the interplay of these factors, the contestations surrounding them, and thus the way that point of view constitutes such maps and makes them unstable. Finally, everyone is welcome to the GORABS Business Meeting. This is from 7:30 – 8:30 PM in Santa Monica D at the Westin, Level 3. You can find an agenda on p. 46 in the GORABS newsletter. Jun Xiao, who immigrated to Canada from Nanjing, China in 2011, speaks Mandarin at home with his wife Dan, 19-month-old child Michael, and mother-in-law Aiping at their suite in East Vancouver. I was quoted in today’s Vancouver Sun on census data that indicates a high concentration of Cantonese and Mandarin being spoken in the Metro Vancouver area. The online version was published yesterday. You’ll find the article in today’s paper on p. A4. Justin Tse, a UBC grad student who is studying the phenomenon, said the church often provides newcomers with a sense of family and connectedness. One of his research subjects, for instance, told him that he often attends church, but usually falls asleep during the sermon and wakes up when it’s over. You’ll find the exact transcript quote on p. 761 of the academic article. Thanks, Kelly, for the quote–it was fun chatting! And thanks, Henry, for making the connection!